The Achievement Program gives you a simple, evidence-based framework to create a healthy learning environment and support the health and wellbeing of everyone in your service. It involves integrating health into planning and policies, creating a healthy culture and environment, and involving the whole service – children, staff, educators and families in the process. The program focusses on six health priority areas for early childhood services: healthy eating and oral health, mental health and wellbeing, physical activity, safe environments, sun protection, and tobacco control. As your service progresses through the Achievement Program cycle, you will receive a sign, which can be placed prominently at your centre to promote your commitment to health and wellbeing. Once you achieve the benchmarks for each health priority area, you will receive icons to affix to the sign, showing continued progress. You can use these materials to let your whole community know that you are committed to the health and wellbeing of your children, families and staff. Cancer Council Victoria is managing the implementation of the Achievement Program on behalf of the Victorian Department of Health and Human Services. Smiles 4 Miles works in partnership with local community organisations to improve the oral health of children and their families across Victoria. The program supports early childhood education and care services located in areas that are at greater risk of poor oral health with strategies to promote oral health and healthy eating among children, families and educators. Establishing sound oral health and healthy eating habits from an early age gives children the best chance of maintaining good oral health in adulthood. The Smiles 4 Miles program is aligned with the National Quality Standards and the Early Years Learning and Development Framework, and promotes three key oral health messages: drink well, eat well and clean well. 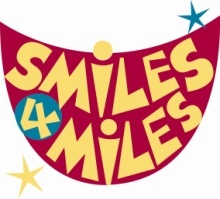 Smiles 4 Miles is an initiative of Dental Health Services Victoria, funded by the Department of Health and Human Services. Pleasurable food education teaches Australian children positive food habits through fun, hands-on experiences that are linked to their academic learning. They learn to grow fresh fruit, vegetables and herbs, and prepare delicious, nutritious, real food. Your centre can take advantage of a heavily subsidised Victorian Pleasurable Food Education Package to receive a bundle of discounted professional development, educational resources, membership and support.